With the recent boom of eco-consciousness, we all know that hybrid cars are environmentally friendly. Because hybrid vehicles run from two power sources alternately — a gasoline source and an electric source — hybrids typically reduce harmful emissions by an average of 25% to 35%. We also know that hybrid cars are easy on the wallet. Because of the switch between power sources, hybrid cars are typically 20% to 35% more fuel efficient than gas powered only vehicles, which makes for great fuel economy. 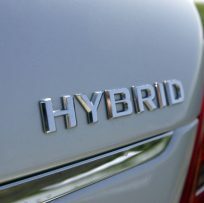 Furthermore, buying a hybrid in the U.S. can offer the owner up to $3,400 in tax incentives. Unfortunately, these appealing benefits are often overshadowed by one costly negative: the often failing hybrid batteries. Electric batteries for cars generally don’t last as long as the car itself will — research shows the lifespan of a hybrid battery can be as low as six years — so purchasing a hybrid car also means that you’ll probably be buying a new electric battery at some point as well. Replacement electric batteries for cars can get pretty pricey and the thought of having to one day replace your battery can be a constant worry. But not anymore. We aren’t limited to getting electric batteries for cars just from a dealership. Don’t be off put from buying a hybrid just because of the prospect of having to replace the battery, and if you already own one, don’t stress about it. There are other companies out there now that only focus on electric batteries for cars and hybrid battery replacement.